Sometimes people get intimidated by stamping because they think you need a ton of special products and nail polishes. However, you can make some fab manis with drugstore polishes if you make smart buys. I decided to make a New Year's manicure with all drugstore/affordable products to show you! First, Sally Hansen does an excellent job of making affordable nail polish but still staying on trend. 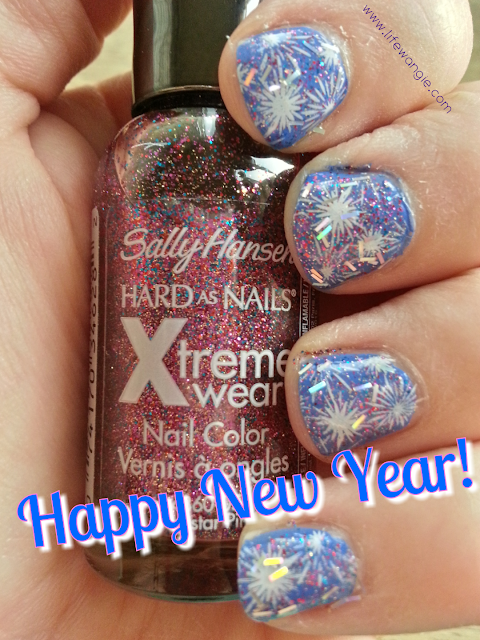 They still have their "Hard as Nails" line that's been around since I was a kid (a looonnnngggggg time ago), but they come up with new lines from time to time and put out trendy colors.One of my fave lines is Sally Hansen Xtreme. These sell for about $3 at my Rite Aid, and they often have sales. You can probably get a lot of them on eBay for cheap, too! Base: Pacific Blue: This was so creamy and pretty, I almost quit after this coat and called it good. 2nd layer: Rockstar pink - this has excellent coverage for a drugstore glitter, or any glitter for that matter! Topped with In the Spotlight- kind of a holo confetti. This does not have a ton of coverage, but it adds just the right amount of sparkle. Now for the stamping- There are lots of "special stamping polishes" out there, but I have so much nail polish already that I never want to spend the $ on them. You can stamp with just about any creme or metallic polish- the key is that the polish is opaque in one coat. 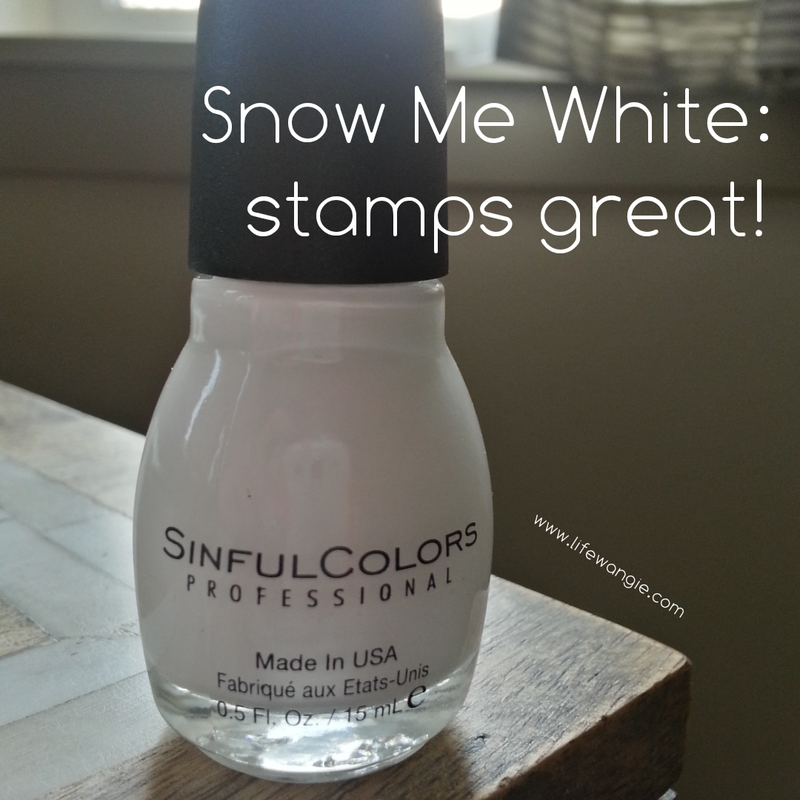 It's a bit tricky to find a good white for stamping, though, so I sought out Sinful Colors Snow Me White, which was rumored to be a great stamping white! Guess what! The rumors are true. So using those lovely drugstore colors, the whole batch of which cost around $10, I made this EXPLOSIVE New Year's stamped manicure! The plate is Bundle Monster Holiday 14 (the fireworks). Stamping plates can't be bought in department stores, but Bundle Monster Plates are very affordable on Amazon. One set can bring you months of stamping fun.